This is a blend of douglas fir and yellow cedar, it was built form reclaimed and rescued wood. 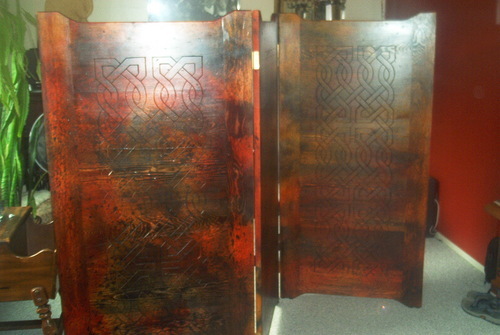 It was crafted by a cabenit maker, finished, sanded, a celtic knot was carved into each panel, then distressed. repaired. refinished, stained, and oiled. 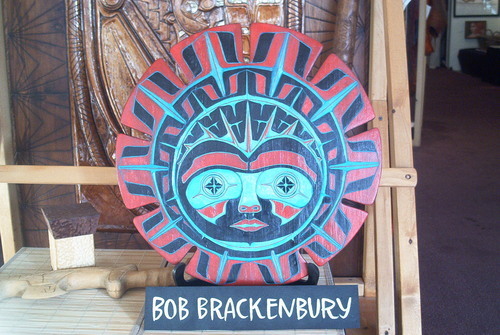 each panel measures 60"x30"x1", with the total unfolded length of 90"
North West Coast Style "Sun"
Hand carved, painted. 20 " dia. 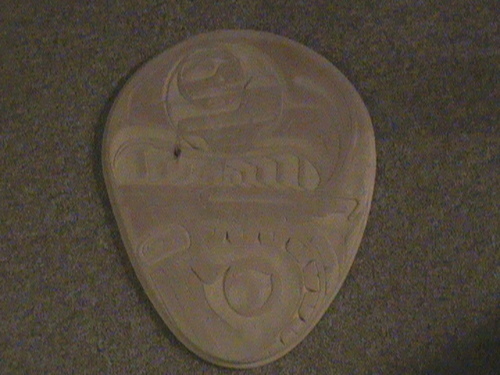 x 1"
Titled " Eagle in Egg"
aprox. 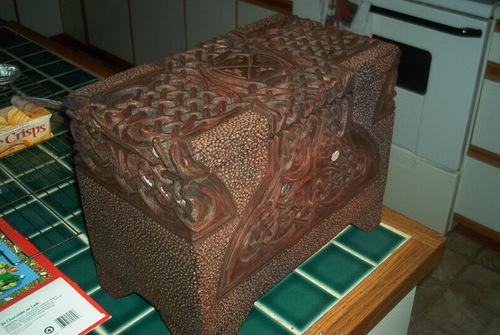 20 " x 16" x 1"
Celtic Knot hand carved into a yellow cedar box.